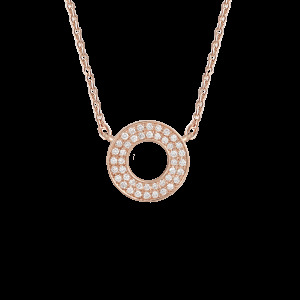 Necklace Precious, Lover Clover paved diamonds in 750/1000e Rose Gold chain. 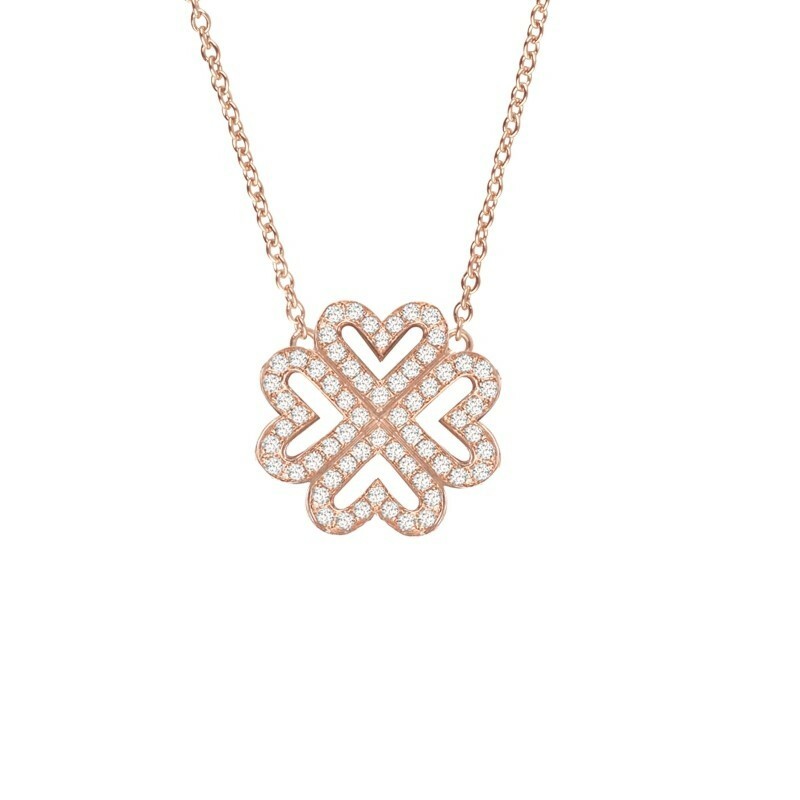 In her Fine Jewelry collection, Precious, Vanessa Tugendhaft reinvents geometric shapes by mixing delicately gold and diamond. 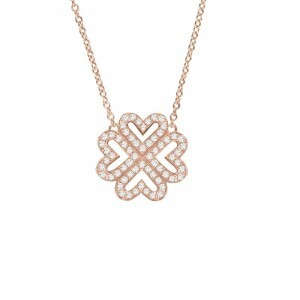 These elegant and modern creations can be wear during both day and night. Adjustable length, 3 circles attaches: 39, 40 and 41 cm.